During FVSU’s Women Rock Month, First Lady Sylvia Jones invites members of the community to celebrate the vital role of women in American history during its second annual First Things First with FVSU First Lady Sylvia Jones: Celebrating Women, Community and History on Monday, March 19, 2018. They keynote speaker will be The Honorable Verda Colvin, superior court judge of the Macon Judicial Circuit for Macon-Bibb, Crawford and Peach counties. The event will be held in FVSU’s Student Amenities Center banquet room adjacent to the Wildcat Stadium on Carver Drive in Fort Valley, Georgia. Networking begins at 5:30 p.m. and the program begins at 6 p.m. Event participants will have the opportunity to connect with event attendees and community leaders. Ticket costs are $20 for general admission and $10 for students. Proceeds fund scholarships and other expenses critical to providing a world-class education to FVSU students. Judge Colvin rose to national prominence after a viral video of her passionate speech providing a “reality check” to at-risk kids garnered hundreds of thousands of views. During the speech, she shared the consequences of life choices with the students using authentic examples and raw emotion. The video was shared around the world over the Internet and through numerous media outlets, including USA Today and Inside Edition. She was appointed by Governor Nathan Deal on April 16, 2014. She received her B.A. degree from Sweet Briar College in Virginia and her J.D. from the University of Georgia School Of Law. Prior to her appointment, she was an Assistant United States Attorney in the Middle District of Georgia, where in her 15 years of service she prosecuted a wide range of offenses from drug trafficking to white-collar crime. Preceding her service with the federal government she was an Assistant District Attorney in Clayton County, GA. She also served as Assistant General Counsel at Clarke-Atlanta University in Atlanta, GA. She became aware of her love for trial work during her service at the Solicitor’s Office in Athens-Clarke County, GA and during her years in private practice at Ferguson, Stein, Watt, Wallas, Adkins & Gresham, et al. P.A. immediately upon graduation from UGA Law School. Judge Colvin is committed to service professionally and personally. Sher serves on the Council of Accountability Court Judges- Funding Committee. 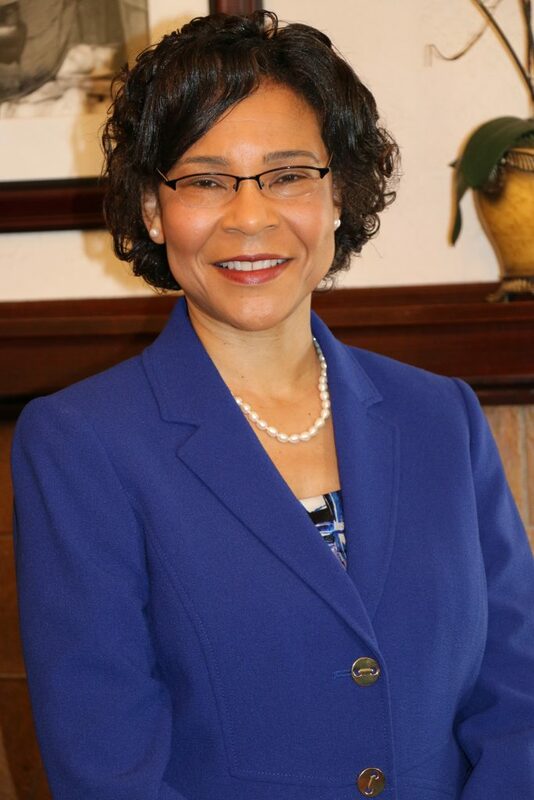 She is a member of the Macon Bar Association, GABWA (Georgia Association of Black Women Attorneys), The Gate City Bar- Judicial Section- Executive Board member, and the William A. Bootle American Inn of Court. She is a member of the Rotary- Downtown Club and she serves as a troop leader for Girl Scout Troop 60022 at St. Peter Claver Catholic School. She is an Executive Board Member of Boy Scouts of America Ocmulgee District and serves as Scoutreach Committee Chair and Vice President. She is a member of Jack and Jill of America-Macon Chapter. She is on the Board of Directors for the Fuller House and will serve on the Regional Partnership Council of the Boys and Girls Club of Central Georgia. She is a proud Leadership Macon 2010 Graduate. She was honored by Leadership Macon as the Robert F. Hatcher Distinguished Alumni Award as a Community Leader in 2015. She is an Adjunct instructor at Mercer Law School. Finally, she is a member of First Baptist Church where she serves as Children and Youth Leader, Children’s Sunday school teacher, and on the Women’s Ministry. She is the proud mother of two children who are being groomed to serve as well. First Lady Sylvia Jones serves as assistant vice president, market relationship manager for Education Financial Services, a division of Wells Fargo’s Consumer Lending Group and America’s second largest provider of private student loans. She manages relationships across four states in the Southeast regions of the country. Mrs. Jones is responsible for the promotion of Wells Fargo’s college financing resources, focusing on providing quality information, guidance, and support to allow customers to make informed borrowing decisions about financing a college education. She is a veteran of the financial education industry, having held leadership positions at Citibank and Discover Student Loans. Prior to joining the banking industry, she served as director of financial aid and interim dean of enrollment management at Colorado Mesa University. She also served as director of financial aid at Wesleyan College in Macon, GA.
Mrs. Jones is passionate about financial literacy and volunteers to help students gain a better understanding of the subject. She serves on the board for Utah State University College of Humanities and Social Sciences and the Peach County Chamber of Commerce, and as a mentor for young women. She earned a bachelor’s degree in economics from Utah State University and an MBA from Western State Colorado University. Mrs. Jones and President Paul Jones have two children, Isaiah and Daphne. For more information about First Things First, please call the FVSU Foundation, Inc., at (478) 825-6474.